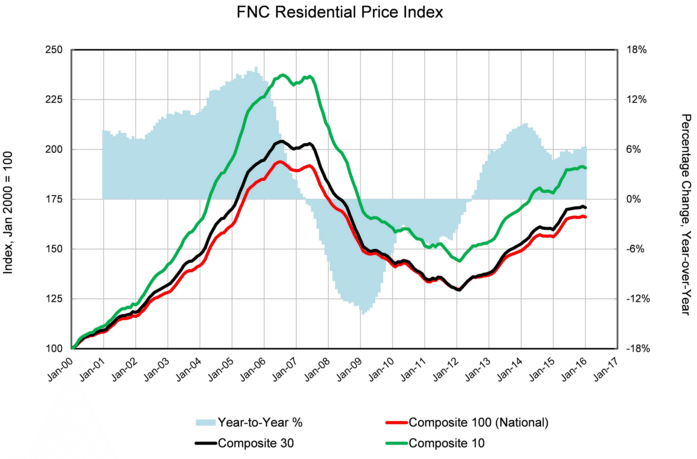 The FNC Residential Price Index (RPI) for January was released March 15, showing that home prices were on a seasonal decline over December but were on the rise compared with the same month last year. 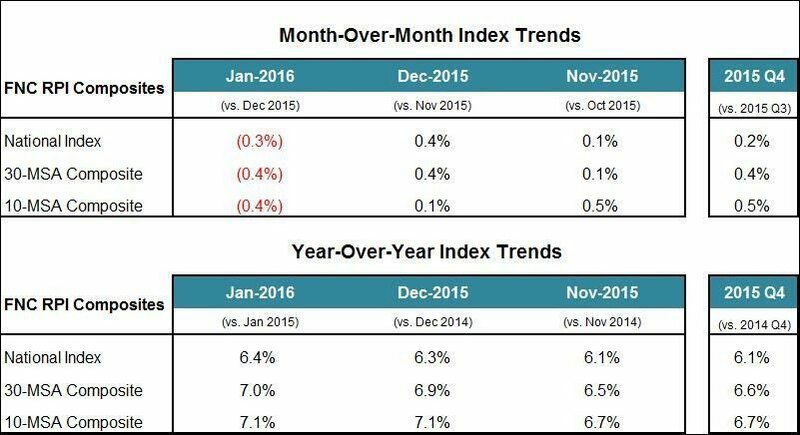 The RPI was down 0.3 percent from December and up 6.4 percent from December 2015. “January is typically a slow month for housing activity, and month-over-month fluctuations in home prices tend to reflect that,” said Yanling Mayer, FNC‘s housing economist and Director of Research. San Diego led the pack in month-over-month price increases at 2.6 percent, which was followed by Orlando at 2.1 percent and Denver at 1.8 percent. Denver is the only city that ranked in the top three for both monthly and annual increases, posting a 13.4 percent year-over-year increase. Portland reigns supreme on annual increases, posting a 14.8 percent year-over-year increase. Sacramento had a 13.8 percent increase in January. The San Francisco real estate market showed signs of seasonal push downward in January. The FNC RPI reported a 2 percent month-over-month decrease. 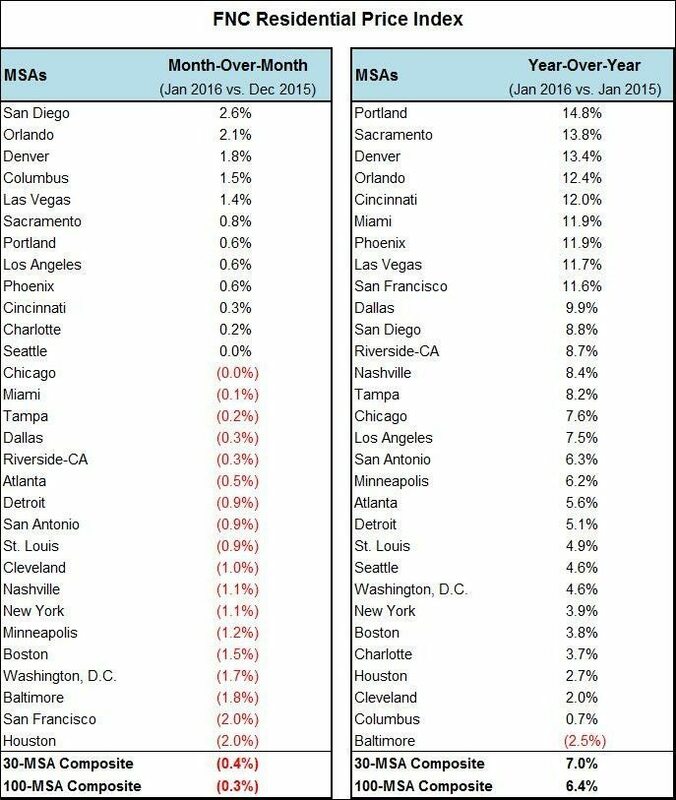 Despite the drop, on an annual basis the metro was much higher on the list of top markets. The year-over-year increase was 11.6 percent.